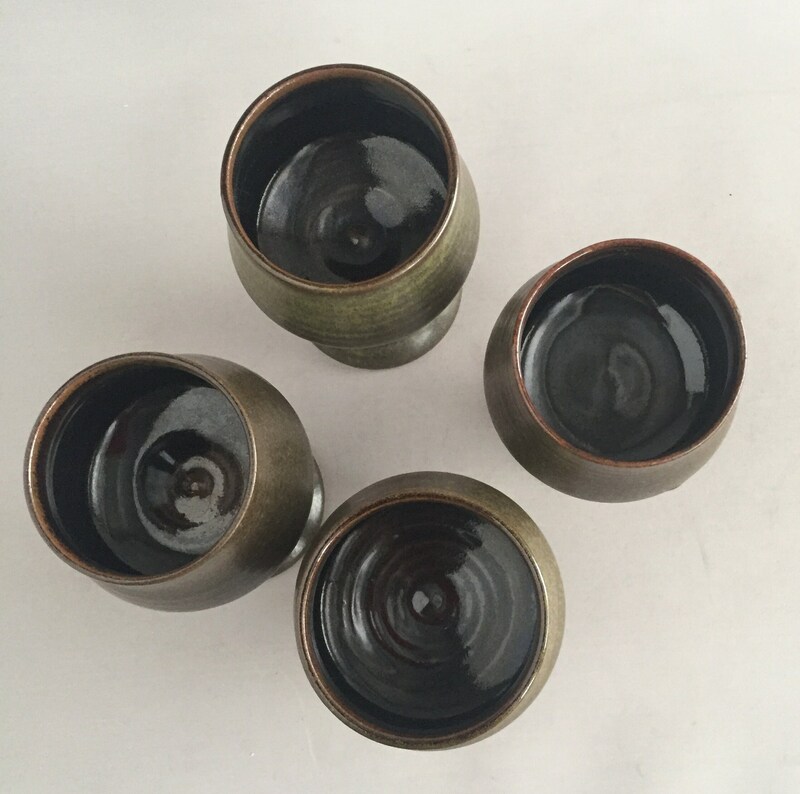 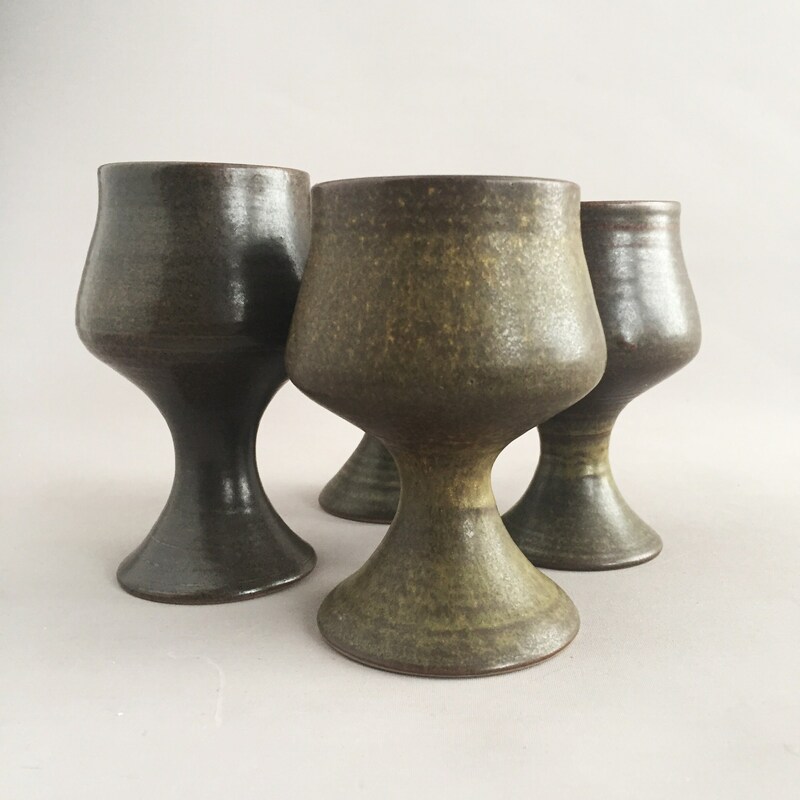 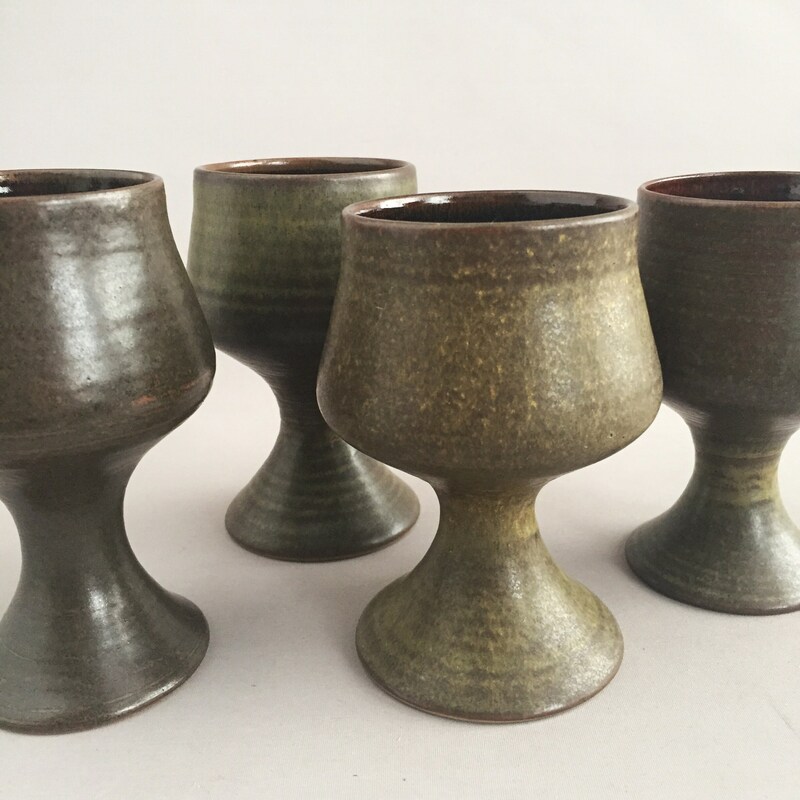 This set of 4 hand thrown ceramic goblets are all slightly different in size and glaze pattern . 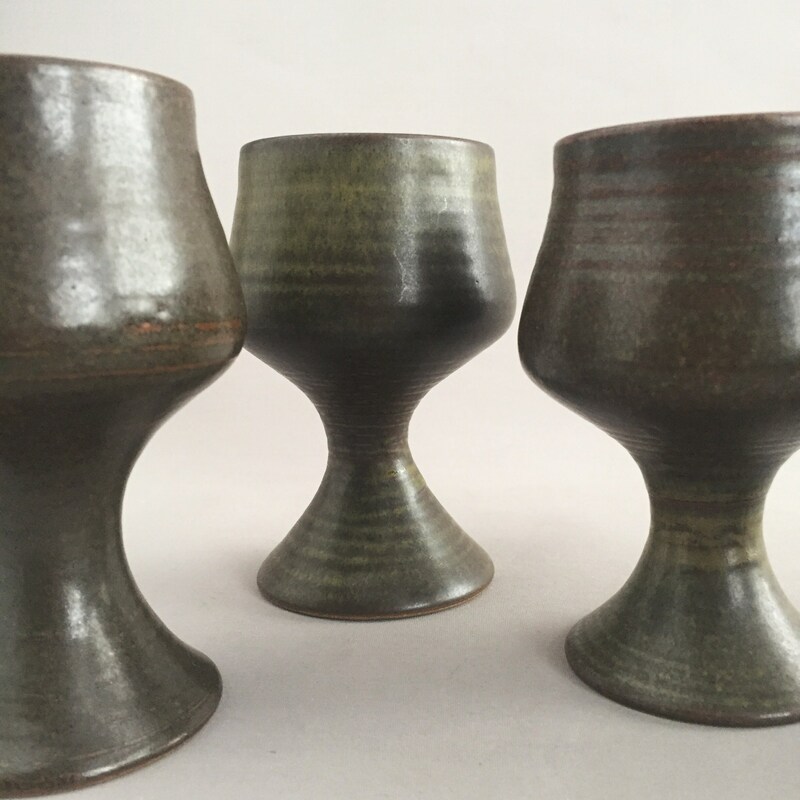 The result of being made by hand one by one. 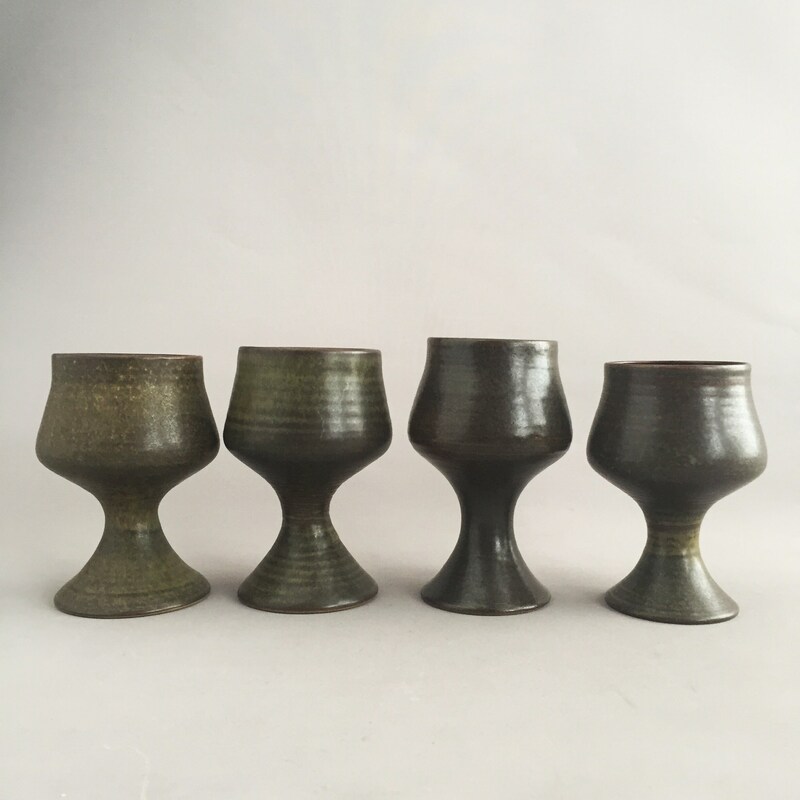 The very largest one measures 14 cm tall x 7cm wide , the rest are a couple of mm smaller. 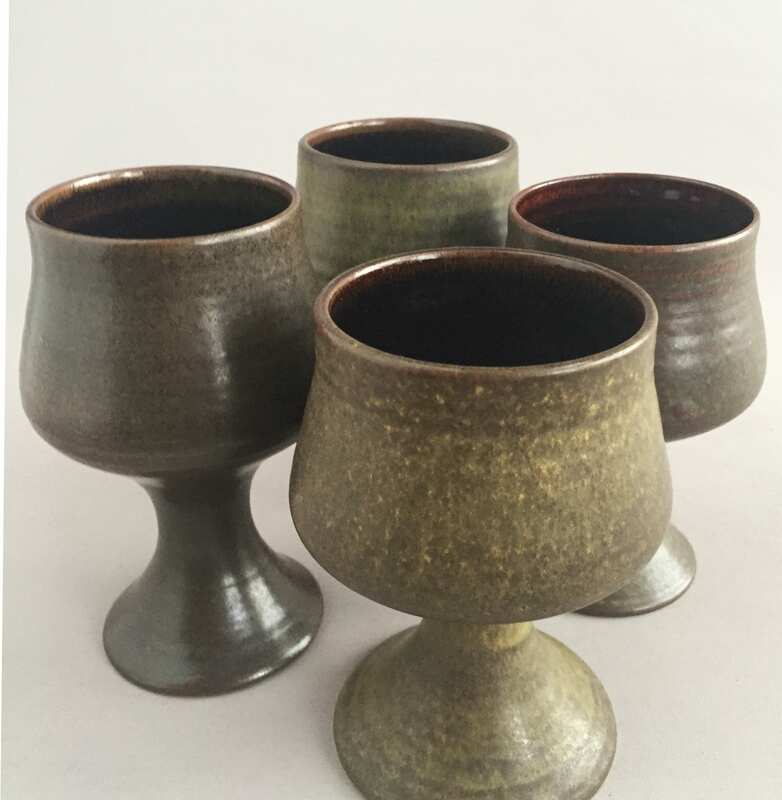 Great to drink from or just as decorative items to display .